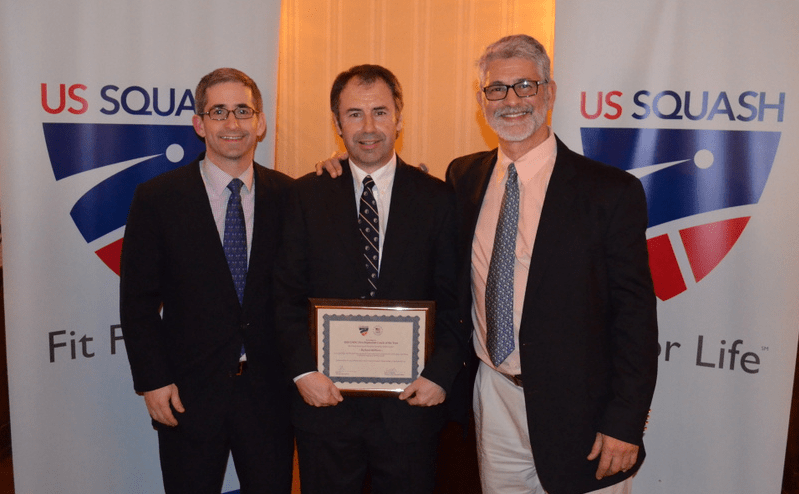 On Saturday, March 14th, U.S. National Squash Championships in Charlottesville, US Squash honored Richard Millman with the United States Olympic Committee Developmental Coach of the Year Award. 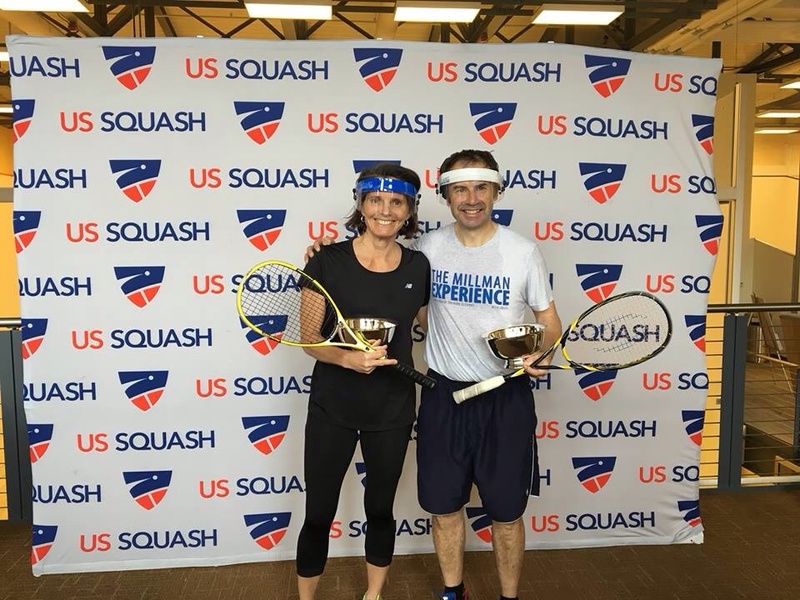 An Englishman, Millman has been impacting squash in the U.S. for a quarter century. A many-time U.S. national champion in masters play, he has coached at Cornell and has been a teaching professional at clubs in Maryland, California, Georgia, New York and currently in South Carolina. 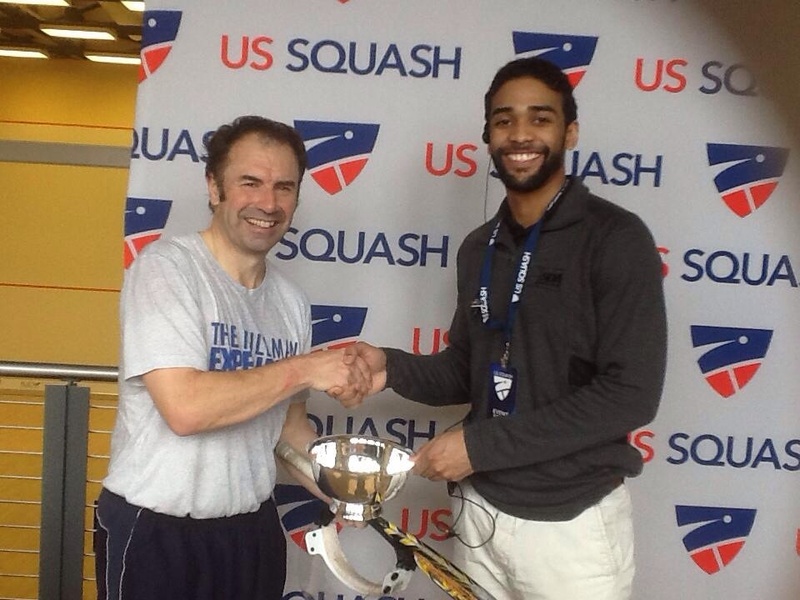 An active leader at US Squash, Millman has served as the Director of Performance, chaired the Men’s Committee and for a decade was the coach and manager for Team USA’s men’s squad. During his tenure, he has mentored thousands of players, including Michelle Quibell who became the first American to win a British Junior Open title. With all his pupils, he has instilled a great love for squash and a cerebral approach to improvement. He writes regularly for Squash Magazine and has authored two books, Raising Big Smiling Squash Kids (with Georgetta Morque) and Angles: A Squash Anthology. 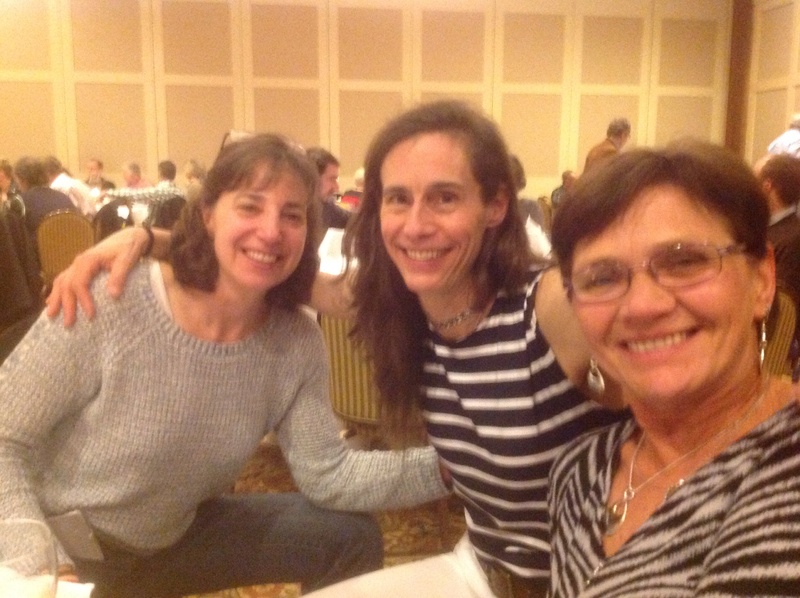 Since 1998 US Squash has annually given out the USOC Developmental Coach of the Year Award to a club teaching professional who works directly with players of all abilities and ages, helping develop outstanding, life-long players and members of our community.